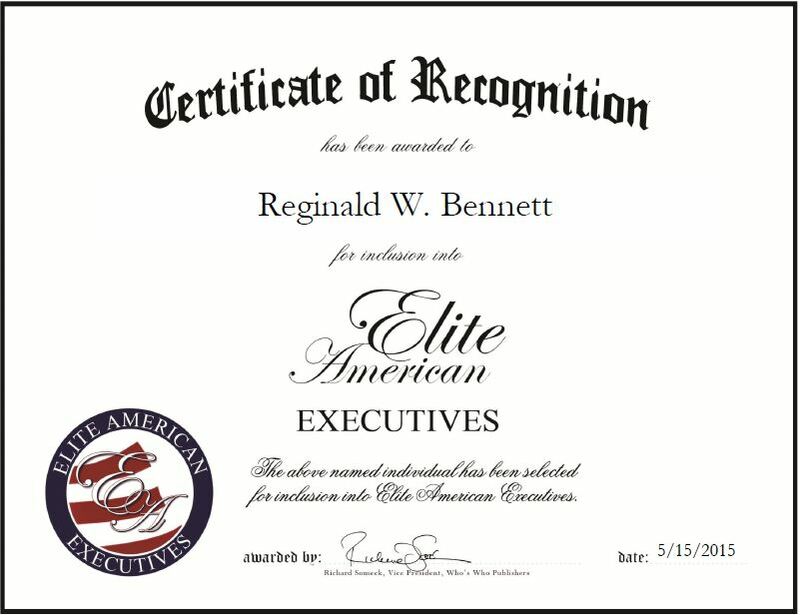 College Park, Maryland, May 15, 2015, Reginald Bennett, Senior Policy Analyst for the U.S. Food and Drug Administration, has been recognized by Elite American Executives for dedication, achievements and leadership in food microbiology. For the last 59 years, Mr. Bennett’s experiences in the food industry have catapulted his expertise in the microbiology of food, tobacco products, dietary supplements and pharmaceutical drugs. His longevity in the field has separated him from his colleagues, and demonstrated his aptitude to conduct research and analyze bacterial food poisoning on a daily basis. As a senior policy analyst, he makes it his priority to ensure safety for consumers throughout the United States. A persevering and creative individual, Mr. Bennett has traveled all over the world in pursuit of furthering his professional career. Domestically, he has delivered technical presentations at food and drug laboratories, ASM meetings and AOAC meetings. He has been a feature-speaker at the rapid methods workshop at Kansas State University, and the rapid methods symposium at University of Wisconsin-River Falls. At various other academic and organizational lectureships, he has delivered speeches to parlay the ideology that good method renders more service to science than the elaboration of highly theoretical speculations. On an international scale, Mr. Bennett has spoken at 65 technical presentations across 14 countries, including China, Germany and Egypt. It is through his ever-changing assignments that Mr. Bennett’s job stays interesting and exciting, an aspect of the profession that he considers the most motivating. Along with his comprehensive experience and knowledge, Mr. Bennett credits his education as the foundation for his success. He holds a Master of Science in microbiology from the University of Pittsburgh, which he earned in 1958, and a Bachelor of Science in the same discipline from the same institution. Moreover, he has completed coursework at the NIH Graduate School of the University of Virginia to further refine his skills. To stay current with industry trends, Mr. Bennett is affiliated with the Institute of Food Technologists, the American Society for Microbiology, and the International Association for Food Protection. He is duly recognized as a fellow of the Association of Official Analytical Chemists International, and the American Academy of Microbiology. An award-winning executive, Mr. Bennett has been honored with a President’s lifetime achievement award from the International Association for Food Protection, and a secretary’s award for distinguished service. For his work with the microbiology rapid methods working group, he received a group recognition award and an On-the-Spot Excellence in Science award from the Food and Drug Administration. Mr. Bennett’s extensive research in the field of food microbiology has been esteemed by industry professionals for the influential impact of his findings. Most recently, he served as a co-developer of a highly specific miniaturized serological radio system for the detection and serotype identification of staphylococcal enterotoxin, and a co-developer of a simplified medium and methods for the production of staphylococcal enterotoxin in the laboratory. He also was the head developer of a precipitation inhibition micro-slide gel double diffusion neutralization test for staphylococcal and bacillus toxins. Mr. Bennett has no intention of slowing down in both his professional ventures and personal hobbies. 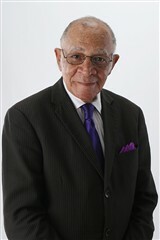 With an aspiration to work in government regulations in the future, Mr. Bennett intends to utilize the same never-give-up attitude that has brought him success over six decades. This entry was posted in Science and tagged bacterial food poisoning, consumer safety, Food microbiology, pharmaceutical drugs, research. Bookmark the permalink.